Recessions are usually bad news for businesses. Earnings fall as consumer spending withdraws and so too follow the share prices. But there are some companies that do well in times of recession. 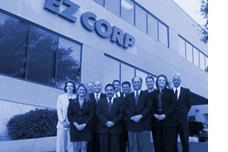 One such company is EZCorp (NASDAQ:EZPW). This came on my radar as it currently trades at a PE ratio of just 6.9 and earns a nice 13% on capital invested. Its debt is covered by assets on the balance sheet. It would have made a great recession investment, but how will it do in the future? EZCorp provide a variety of instant cash solutions, including collateralized, non-recourse loans, commonly known as pawn loans, and a variety of short-term consumer loans, including single-payment and multiple-payment unsecured loans and single-payment and multiple-payment auto title loans. In Texas, they provide fee-based credit services to consumers seeking loans. At their pawn and buy/sell stores, they sell merchandise, primarily collateral forfeited from pawn lending operations and second-hand merchandise purchased from customers. They also offer prepaid debit card services to help customers better manage their money and control their spending. They rely heavily on gold as collateral for loans which is one reason for the depressed share price. But for me this isn’t a real concern, at least for solvency. Gold prices can be hedged and given the short term nature of pawn loans, their exposure to gold isn’t huge. It’s not hard to see why this company has done well during the recession. When people struggle financially they are more likely to need short term loans to cover bills. If they have a bad credit rating (which most people struggling financially do) then they are forced to the likes of pawn brokers and payday lenders. From pre crisis levels, the share price of EZCorp tripled in a few short years, before falling back. This is the kind of investment I wish I’d made at the time, but at least I know what to look for now during the next recession! So whilst they are currently very profitable, long term we wouldn’t expect (or hope) that recession will continue and sooner or later economic growth will resume. So how will EZCorp do when (if?) this happens? To assess this I looked at their financials before 2007 and compared with the present day. I also looked at their per store earnings to get an idea of what their earnings may look like if economic conditions return to the pre 2007 period. You can see the impressive growth in revenues and profits per store. Store expenses are still below the pre crisis revenues per store (but of course these aren’t their only expenses) but it does appear that pre-crisis levels of income will not produce the same level of profits. In 2006 they only made $50,000 profit per store, but their store expenses alone have increased by $60,000 dollars per store since then. In the longer term they would need to dispose of many of these higher costs stores once they become uneconomical. In the meantime there doesn’t appear to be any cash returning to shareholders either. No dividends or share buybacks, and increasing debt as they expand their store portfolio. They are slowing down the falls in profits by cutting central costs but my real worry is what happens under a long term decline in their industry. This is a difficult company to value, they are currently very profitable, but these profits are being reinvested in a business that will one day probably become less economical. Who knows what their stores will be worth then. I would want a good margin of safety from what they carry the stores for on the books but currently, the company trades slightly above book value. Mind you, book value increased by 24% in 2012 and has grown at a compound annual growth rate of 30% since 2005! I think this recession still has some way to go, maybe it will be a few years until EZCorp start to really struggle. Book value is probably fair given the risk/rewards of this situation in my opinion, but I don’t see this stock as a good long term investment so I’m giving it a miss. In the shorter term this stock could do well though. Founder of Investing Sidekick. Works as a research analyst and is an avid value investor, always searching for undervalued shares.